BOSTON, MA--(Marketwire - March 3, 2011) - Encouraging young children to read is an important job for parents and caregivers alike, but finding the right book to spark their imagination among thousands of options is not always easy. Laughing Giraffe Books (www.laughinggiraffebooks.com) was started to address that need and provides themed book bundles or book of the month gift collections for children, ages newborn through eight years. Founded by a former reading specialist in the Massachusetts school system, each Laughing Giraffe Books order features high quality children's literature along with an engaging search-and-find game and a perfectly themed prize designed to encourage children to read and develop a lifelong love of reading. With thousands of children's books on store shelves, we understand that choosing quality literature can be time consuming and difficult. Our expert team does the research for you so whether you are shopping based on age, gender, price or interest our selections are designed to inspire. 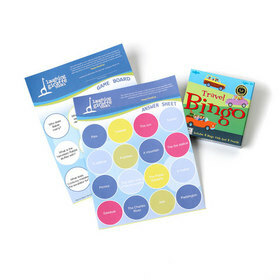 Plus each of our sets include the unique search-and-find games and prizes as we believe introducing play along with teaching can help children learn and develop a love of reading. "My background is in education and as a reading specialist and special education teacher my favorite moments were when I was able to get a 'nonreader' hooked by a special story or character. I learned that the quality of the books I introduced at school and at home with my two girls made the difference between success and failure in my sessions, and excitement and boredom for my children. I knew I wanted to find a way to help encourage young readers beyond just my classroom so I started Laughing Giraffe Books. Whether you are shopping for a baby shower, a birthday or just want to build up a child's library, we have the right theme and gift set to match your needs and their imagination!" Laughing Giraffe Books provides themed book bundles or book of the month gift collections for children, ages newborn through eight years. Founded by a former reading specialist, we research and select high quality books for young children, bundle and wrap them in gift sets and include a search-and-find game and themed prize. Each of these elements is incorporated in our all inclusive pricing. To learn more and start encouraging the little readers in your life visit www.laughinggiraffebooks.com.